Happy Advent all! I love this time of year so much. The anticipation, nostalgia, and tradition I experience is indescribable. For me, this season always seems to renew my spirit and build up my faith as the new year approaches. Ironically, for the last 8 years, the first couple of weeks of advent has meant finals and all the misery that comes with it. Exams and papers and projects, OH MY! In fact, I just finished compiling notes for an exam I have this week, and it totaled 113 pages. 113 PAGES! And that, my friends, is just the tip of the iceberg. With that said, this post is the best I can do for now, even though I am eager to share so much more! 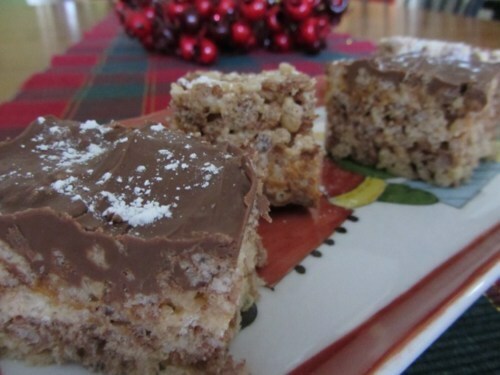 We used half rice krispies and half coco krispies for the rice krispy treats. Then, while the treats were still hot, we melted peanutbutter and drizzled it on top. Finally, we melted milk chocolate chips, spread the melted mixture on top, and let it set in the fridge so the chocolate could re-harden. Dangerously delicious! 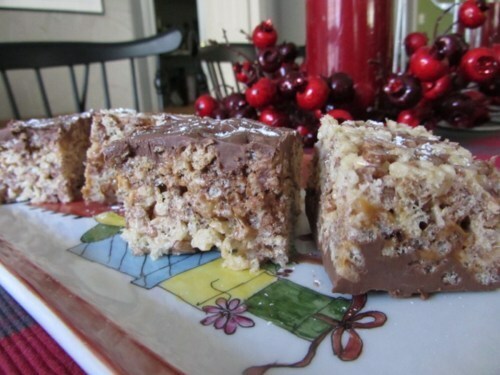 Do you have any special Christmas traditions? We are only just getting started! In honor of Thanksgiving, I wanted to share the latest project I have been working on with you all. As many of you know, I am finishing my last year in seminary. Even though I am almost finished, I am only just taking the Scriptures I class which covers essentially the first half of the Old Testament. This class has been hands down the best class I have ever taken because the professor is absolutely amazing. Thanks to her teaching methods, I have learned and been challenged more than I ever have in a class. Also, I have been transformed personally in many ways, I feel as though I am reading the Old Testament for the first time, and I LOVE it! One morning, not too long ago, I was alone in prayer when all of a sudden it occurred to me just how meaningful this class has been. I wanted so much to do something creatively that could express how much this whole experience has meant to me. In my head I saw this bright, abstract image of biblical characters that have had the greatest impact on me. 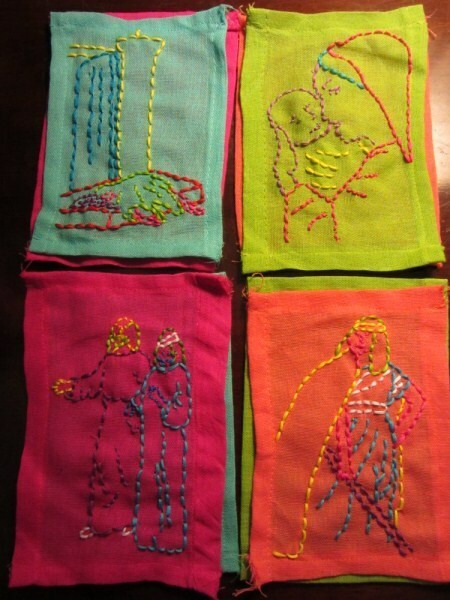 They were embroidered on pieces of fabric and hanging together in white frames. I journaled for awhile, listing people who often go unrecognized, until I finally narrowed my list down to four. 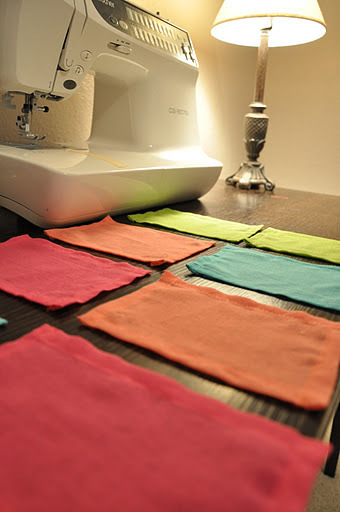 First, I took multi-colored flour sack towels and cut and sewed them into 4×6” blocks. 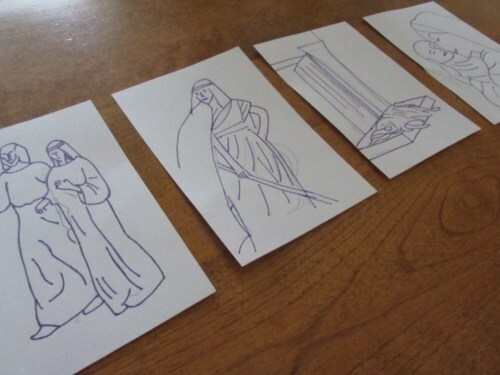 Then, with help from google images, I drew pictures of how I envisioned each character. 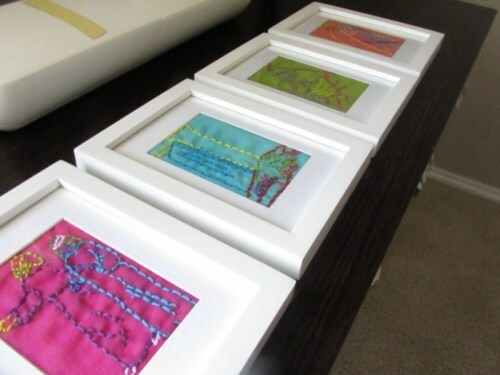 Using a water soluble marker, I traced the images onto the fabric blocks and then embroidered over the tracings. 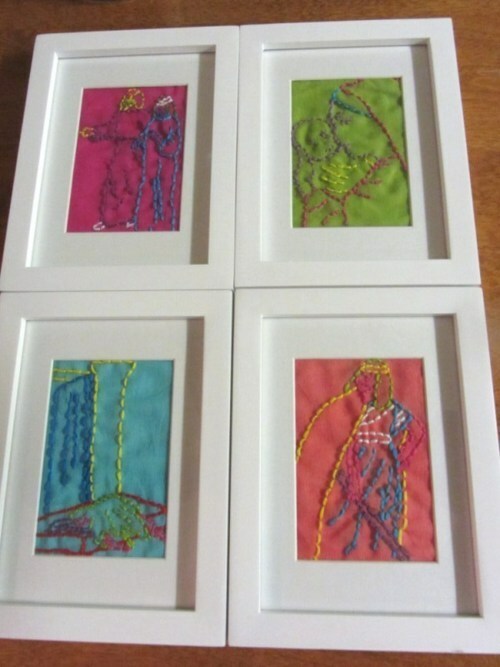 I wanted the images to look kind of abstract so I used all kinds of brightly colored thread. 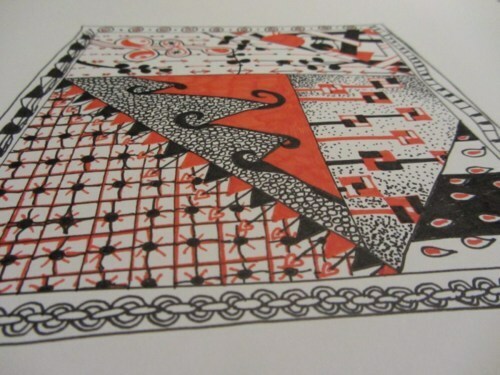 The finished product is meant to be hung as a set, either in a straight line or as a square. Or they can be set out separately. Whatever FRILLS! Stay tuned for a post explaining the significance of each character I chose. Until then, have a happy and thankful Thanksgiving! What are you thankful for this season? This summer I had fun thinking of different looks for this totally FRILLING lace overlay. Now that it’s Fall, I’m quickly learning just how versatile this piece is. LOVE. Which Snow White version is more frilling? I’ve been following the making of the two Snow White films for a few months, and now that both trailers are out, I wanted to hear your thoughts! Both versions (which seem to be as different as night and day) are set to come out in 2012. Snow White and The Huntsmen stars Charlize Theron as the evil queen, Kristen Stewart as Snow White, and Chris Hemsworth (of Thor) as the huntsman and seems to be darker, edgier, and action packed. Mirror Mirror stars Julia Roberts as the evil queen, Lily Collins (of The Blind Side) as Snow White, and Armie Hammer (of The Social Network) as her love interest and is a light comedy. Personally, I’m favoring the SWATH trailer by a long shot. But what about you? Do you have a favorite cast? Have you seen Matchbook Magazine? 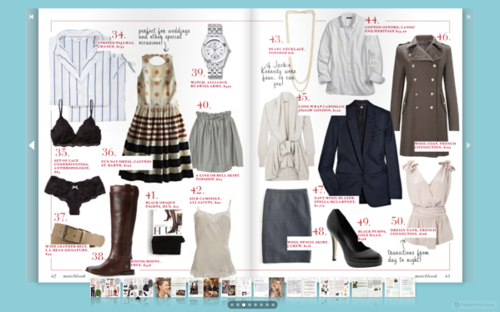 I’m loving their list of 50 classic pieces for the stylish gal’s closet. (go here for a larger look.) I think most of their picks are right on. With these items, you can go pretty much anywhere, in pretty much any weather. a) I dislike khaki pants. I would substitute white jeans for these. b) I’d add a pair of classic black leggings. c) rain boots. Like Hunter’s. d) I’d lose the polo shirt. ick, I hate polo shirts. They make me think of golf. e) a classic gold bangle or cuff bracelet. I have one, and it’s my signature piece. Otherwise, I think it’s a great list, and I’m going to use it as I continue to curate my wardrobe. You can view Matchbook’s checklist here. What do you think? What pieces would be on your own “50 Classics” list? 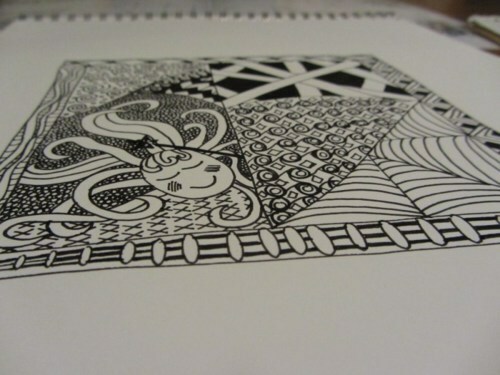 Have you guys heard of Zentangle? Lyle’s mom introduced it to me recently, and I have been having fun, fun, fun with it! I do tend to doodle in class (it really does help me to stay focused). Little did I know there was a way to learn how to get better! Also, it’s very therapeutic. If only I had learned about it BEFORE my final semester of school. 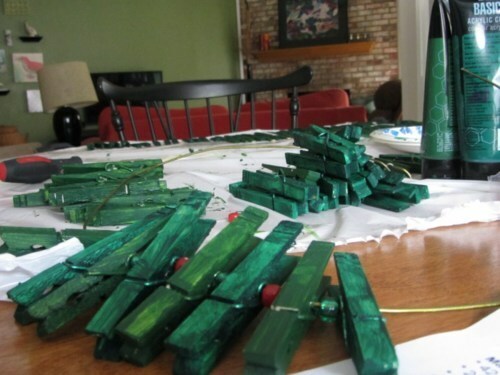 This weekend, my friend Chansin and I had some fun working on a Pinterest inspired Christmas craft. I know it’s pretty early, but I think we all know how fast Christmas tends to sneak up on us. Also, it isn’t every weekend that I find myself with some free time available when I would normally be doing homework. 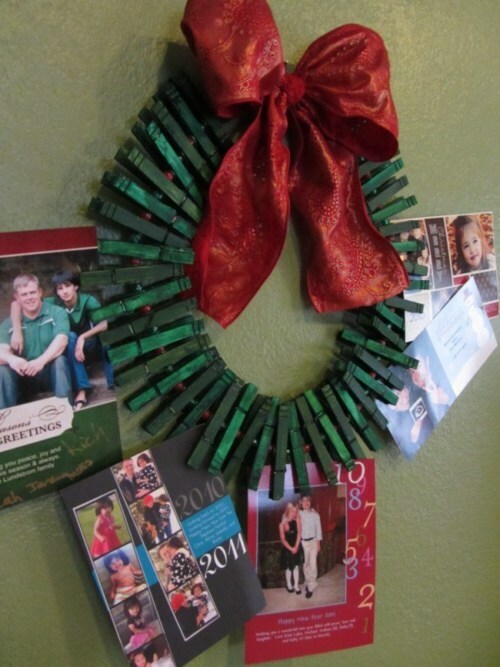 I absolutely love this wreath idea, and I’m so glad that all my sweet friends’ Christmas cards will be more proudly displayed than ever before this year! I used some cards I still had from last year so I could fully display the wreath. Check out the finished product below. 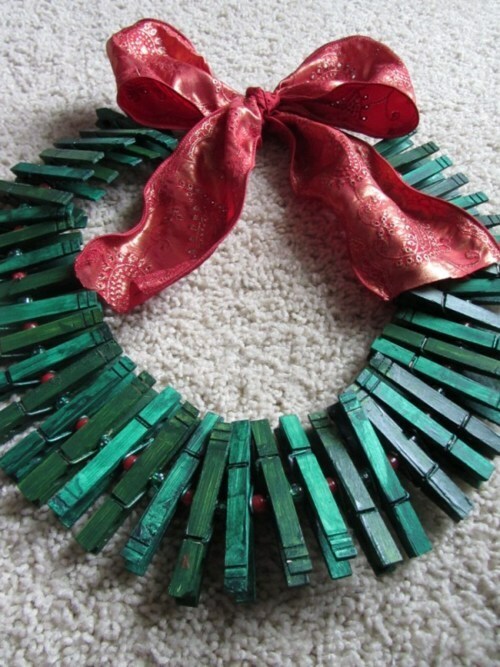 Do you have any fun Christmas crafts you are looking forward to this year? She arranged some things she liked to see, took a photo of it, and uploaded it to Uncommon. Then they sent her her very own custom case. I LOVE this idea. 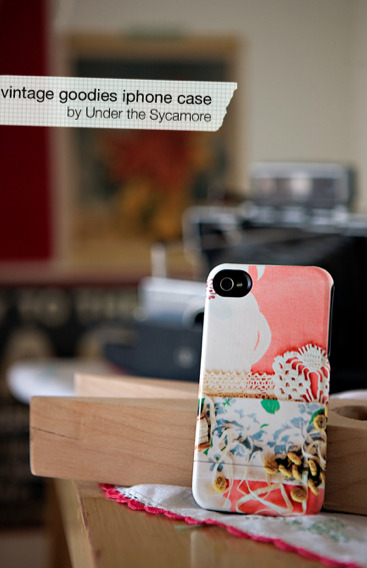 I want Huzz to design me my very own case. please and thank you? I can’t even believe it, but we appear to be having a rainy day here in Texas making this month’s EBEW theme perfect for adding some cheer to a dreary day! I have been excited about colored tights for a while now, thanks to an old post of Fran’s (she’s great at spotting the seasonal trends) as well as the fact that everyone seems to be wearing and selling them. I knew American Apparel would be the place to go if I wanted my pick of colored tights, and I was right! They had it all, but I chose this violently HOT pink! I also have some mustard tights I have really been enjoying thanks to Target (they have a bunch of colored tights for $5 a piece right now, so check it out!). This fall/winter season is going to be a fun one with knee high socks and colored tights in the picture! 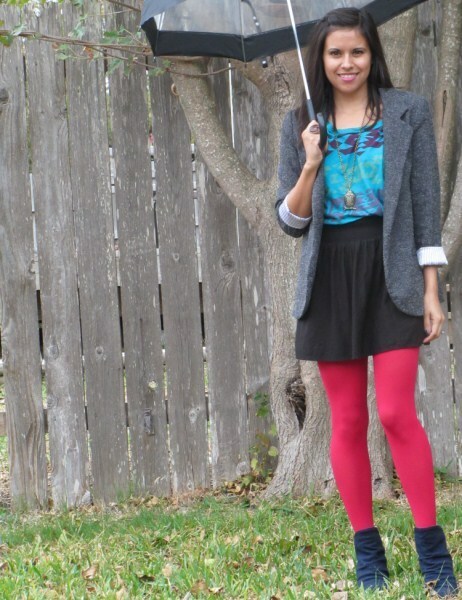 Are you bold enough to rock colored tights? What’s your favorite color to wear? c) I just don’t like it, or I have to talk myself in to wearing it. I tried on anything that I haven’t worn in the last six months. I think this is a key to successful culling: either you rediscover a piece you forgot about, or, more likely, you realize why you haven’t worn it. Maybe it’s too snug in the shoulder; maybe it drapes in a weird way, or the color is off for you. Simple. If it doesn’t work and I’m not happy to get up and put it on in the morning, I put it in the giveaway pile. Trying on everything was time-consuming, but revealing. For instance, I was able to make two groups of blouses: one group of those I like and wear often, and a group of those I don’t really like. Then I was able to look at each objectively and see what they had in common. I discovered that most of the blouses in the “don’t like” pile had gathering at either the neckline or the sleeve, and/or some embellishment on the chest or shoulder. So now I realize that I have a propensity to be drawn to and buy tops with these details, but I don’t actually like to see them on my body, and I can incorporate that into my shopping rules and avoid the mistake in the future. At the same time, I realized that the tops I love tend to have great drape, 3/4 length sleeves, a graphic pattern, or a sleeker cut. I also rediscovered a couple of items I’d forgotten about but still love, and am putting them back in rotation. I did this same exercise with all wardrobe categories: shoes, workout clothes, t-shirts, pants, skirts, underwear, jackets/outerwear, accessories. Sometimes I didn’t really want to get rid of an item, but knew I needed to; like a seriously hot cocktail-ish dress that I absolutely love, but can’t zip it over my Mama-bust, which got a new home at a friend’s house. 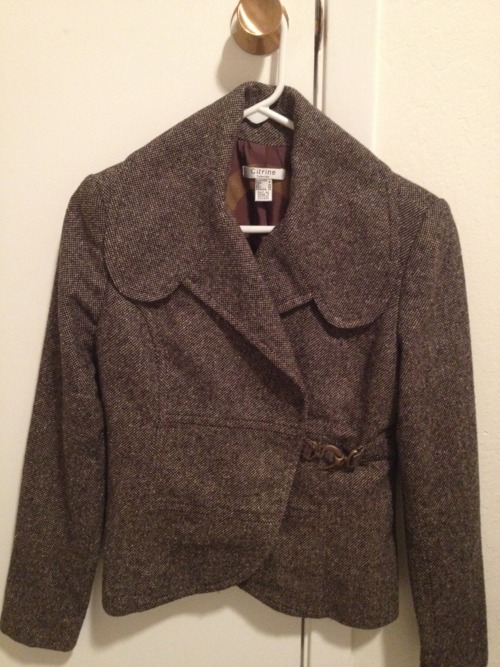 And like this awesome tweed jacket, which I love, but is too snug in the shoulder and constricts my arms. But mostly, once I tried the item on and identified why I didn’t like it/didn’t need it/shouldn’t keep it around, it was easy to let go. Another bonus to going through this process is this: now that my wardrobe is smaller and only consists of pieces I love and that fit well, I have a much better idea of any holes in it that need to be filled. For instance, I realized that I had no black dress shoes. Not one pair. None at all. How dumb is that? No wonder it has been so hard to dress for church or an evening out. 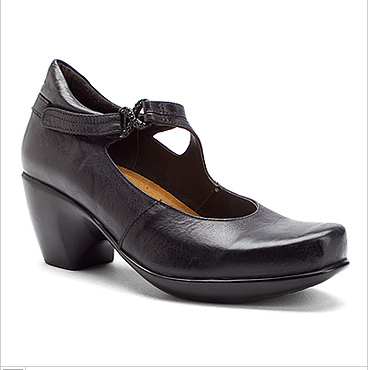 So, I invested in a super-comfy pair that I love and will last for years to come. 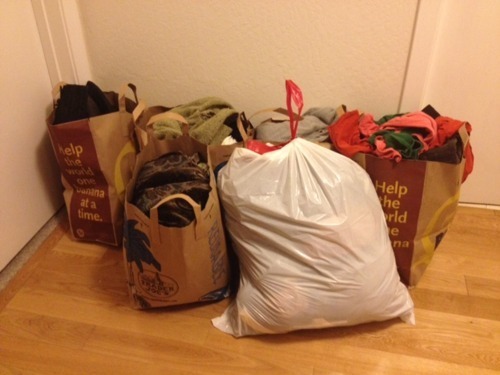 Moving is a great excuse to clean out, but I also think fall is a great time to do it. You’re most likely changing out your seasonal wardrobe anyway. How often do you go through, clean out, give away?